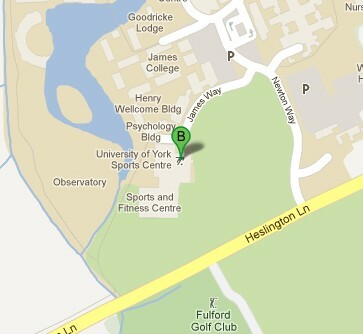 Approach the University from the junction of the A64 and the A1079 on the east of the city from where the University is signposted. This leads you into Heslington Lane. Just before Fulford Golf Club turn right into Newton Way and then left into James Way.